Editors Note: There is a photo associated wtih this press release. 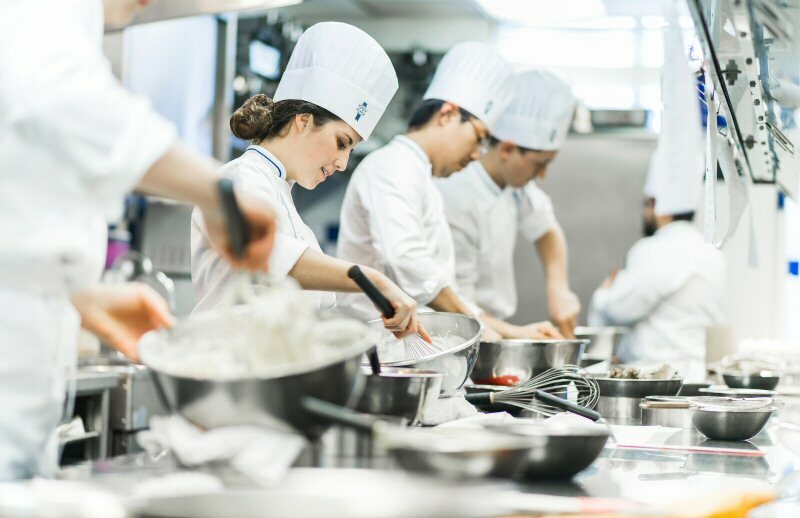 The prestigious Le Cordon Bleu Ottawa Culinary Arts Institute, along with Canada's Top 100 Restaurants and Postmedia Network, are on the search for Canada's most passionate aspiring chef with the launch of the 2nd Annual Passion for Excellence Scholarship Award. A paid internship under the guidance of Chef Yannick Anton, the esteemed chef of the renowned Le Cordon Bleu Signatures restaurant in Ottawa. The internship is concurrent with study and offers $5,000 in remuneration. Information and application forms are available at www.chefscholarship.ca. Applicants must fill out an application form and record themselves answering three industry-related questions. The deadline to apply is July 31, 2016. A panel of chefs will choose three finalists in August, and they will be flown to Ottawa to compete for the grand prize in November 2016. "We look forward to leading the successful applicant on a journey of discovery and creativity that will last a lifetime," says Andre J. Cointreau, President of Le Cordon Bleu and based in Paris. "Our heritage is shared across such prestigious locations as Paris, Ottawa, London, Tokyo, Shanghai and Sydney. We want to share our knowledge and passion for the culinary arts, hospitality and management education." Le Cordon Bleu is a world renowned network of educational institutions dedicated to providing the highest level of culinary and hospitality instruction through world class programs. It is considered to be the guardian of French culinary technique through its culinary programs that continue to preserve and pass on the mastery and appreciation of the culinary arts that have been the cornerstone of French gastronomy for over 250 years. To view the photo associated with this press release, please visit the following link: www.marketwire.com/library/20160229-lecordonbleu800.jpg. Le Cordon Bleu Ottawa's scholarship worth more than CAD$30,000 could heat up the career of a passionate aspiring culinary talent.